Is your site running as efficiently as possible? Could you use your air compressors more efficiently? Are your pumps using too much energy? What else can you do to save energy on-site? Is there any moisture in your materials? How well cared for is your dryer burner? How much energy have you saved today? 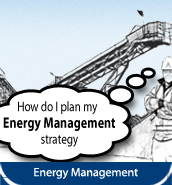 Have you got a clear plan to improve energy performance? Have you turned off everything you've used today? Where can VSDs save energy on your site? How well insulated is the equipment on your site? Tips for optimising your asphalt dryer burner to save 5-20% of your site's in energy consumption. Tips for using compressed air in a more efficient way to save up to 30% of your site's energy consumption. Tips for recognising and reducing energy consumption to save up to 10% of your site's energy consumption. Tips for ensuring that all appropriate site areas are insulated and save up to 10% of your site's heat load. Tips for ensuring that moisture levels in aggregate are kept as low as possible to save up to 15% in energy consumption. Tips for optimising the running of your site to save up to 10% of your plant's energy consumption. Tips for ensuring your site's water pumps are running correctly and efficiently and save up to 50% of your pumping energy. Tips for identifying where Variable Speed Drives can be fitted or cheaper alternatives used to make significant savings. Tips for creating an energy action plan on your site and reduce energy consumption by 20% per year. 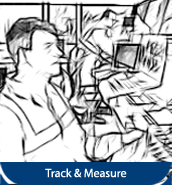 This tool is designed to provide an quick assessment of the energy saving potential based on the information provided by the user and on rules of thumb. This is the User Guide for the Energy Saving Assessment Tool. It provides information and instructions on how to use the tool. This case study is an introduction to the energy saving measures that are possible at Asphalt Plants. This case study is an introduction to the likely energy saving measures for sand and gravel sites. This case study is an introduction to the likely energy saving measures at a hard rock quarry site. The journey to carbon and energy reduction in a crushed rock quarry starts with raising awareness. It is essential to have all staff on board in any drive to reduce emissions and to ensure that everyone understands why the scheme is important. Energy efficiency saves money, reduces carbon emissions and is increasingly important to customers, regulators and other industry contacts. On a practical level, most staff are involved in turning on and off appliances and equipment - a critical element in any carbon reduction scheme. Taking a broader perspective, it can also prove beneficial and productive to engage all stakeholders, including customers, suppliers and investors, to help achieve carbon reduction goals. This stage of the journey raises awareness of the importance of, and reason for, reducing carbon emissions on site. Resources include various Toolbox Talks and How-To Guides which increase awareness and advise how to identify and implement measures to reduce energy use and carbon emissions. Opportunities exist across the range of fixed and mobile plant in every limestone, igneous and sandstone quarry. The journey to carbon and energy reduction in a sand and gravel quarry starts with raising awareness. It is essential to have all staff on board in any drive to reduce emissions and to ensure that everyone understands why the scheme is important. Energy efficiency saves money, reduces carbon emissions and is increasingly important to customers, regulators and other industry contacts. This stage of the journey raises awareness of the importance of, and reason for, reducing carbon emissions on site. 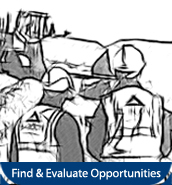 Resources include various Toolbox Talks and How-To Guides which increase awareness and advise how to identify and implement measures to reduce energy use and carbon emissions. 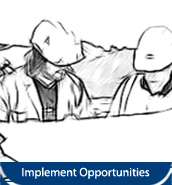 Opportunities exist across the range of fixed and mobile plant in every sand and gravel quarry. 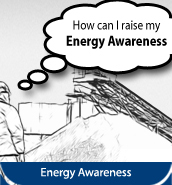 The journey to carbon and energy reduction in an asphalt plant starts with raising awareness. It is essential to have all staff on board in any drive to reduce emissions and to ensure that everyone understands why the scheme is important. Energy efficiency saves money, reduces carbon emissions and is increasingly important to customers, regulators and other industry contacts. Asphalt plants have the highest relative energy use in the aggregates sector, providing significant opportunities for energy reduction through, for example, more effective burner optimization and insulation. This stage of the journey raises awareness of the importance of, and reason for, reducing carbon emissions on site. Resources include various Toolbox Talks and How-To Guides which increase awareness and advise how to identify and implement measures to reduce energy use and carbon emissions.